The candidate will be based at our Highgate studio but may be required to travel and be based on site as and when necessary. Candidates must be eligible to work in the UK. Please send a cover letter, CV and representative examples of your work as a PDF (7mb max) to careers@alisonbrooksarchitects.com. Alison Brooks Architects is an equal opportunities employer and treats all job applicants equally, irrespective of race, ethnicity, gender, sexual orientation, marital status, age, disability, beliefs or religion. Alison Brooks Architects are recruiting for an architectural assistant with a minimum of two years post RIBA Part-II to join its London team. Successful candidates will join an experienced team to produce RIBA Stage 4 Construction Documentation and deliver a large and exciting, new-build residential scheme and at North West Cambridge. We’re searching for candidates with the ability to take on high levels of ownership and responsibility, to work as a team and be self-motivated. In return Alison Brooks Architect offers a generous benefits package and a warm and welcoming team environment. If you’re a confident and strategic PR & Marketing professional, who’s passionate about architecture please send your CV, stating your notice period and salary expectations to pamela.lawrie@alisonbrooksarchitects.com. Alison Brooks Architects is an equal opportunities employer. 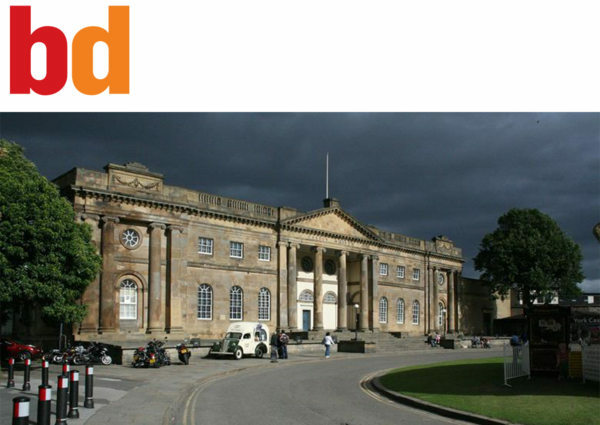 Building Design has published the announcement of our appointment as Lead Architect & Masterplanner for the York Castle Museum redevelopment. “The practice will work with Richard Griffiths Architects, Purcell Architecture and Todd Longstaff-Gowan Landscape Design, Real Studios, BDP, Appleyard and Trew, and BuroHappold Engineering on the project, described by the museum as multimillion pound. Alison Brooks Architects is looking for a studio coordinator/receptionist to join its growing studio in Kentish Town, London. The studio coordinator/receptionist will be the first point of contact for visitors, clients and staff so you will be committed to creating an excellent first impression for all visitors, have an eye for detail, can do attitude and excellent communication skills. maintaining office supplies, stationery, kitchen, etc. In return we offer a generous benefits package and a warm and welcoming team environment. Alison Brooks Architects (‘we’ or ‘us’ or ‘our’) gather and process your personal information in accordance with this privacy notice and in compliance with the relevant data protection Regulation and laws. This notice provides you with the necessary information regarding your rights and our obligations, and explains how, why and when we process your personal data. Alison Brooks Architects registered office is at Unit 610 Highgate Studios, 53-79 Highgate Road, NW5 1TL London and we are a company registered in England and Wales under company number 4810339. We are registered on the Information Commissioner’s Office Register; registration number A8365277, and act as the data controller when processing your data. Alison Brooks Architects processes your personal information to meet our legal, statutory and contractual obligations and to provide you with our products and services. We will never collect any unnecessary personal data from you and do not process your information in any way, other than as specified in this notice. Personal data we collect can include: name, date of birth, contact details, education and employment information and passport details. We do not share or disclose any of your personal information without your consent, other than for the purposes specified in this notice or where there is a legal requirement. Alison Brooks Architects uses third-parties to provide the below services and business functions; however, all processors acting on our behalf only process your data in accordance with instructions from us and comply fully with this privacy notice, the data protection laws and any other appropriate confidentiality and security measures. Occasionally, Alison Brooks Architects would like to contact you with details on the services that we provide as well as news updates. If you consent to us using your contact details for this purpose, you have the right to modify or withdraw your consent at any time by using the opt-out/unsubscribe options or by contacting Alison Brooks Architects directly, here. 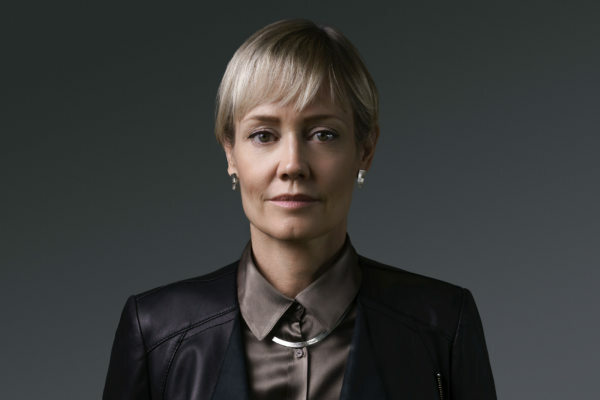 Alison Brooks Architects is a multidisciplinary firm specialising in urban planning, architecture, and design. Our key objective is to seek excellence in every aspect of our work and practice. We aim to maintain honour and mutual respect with a professional approach in relations between clients, members of our company and collaborators. By so doing we seek to achieve a service appropriate to the needs of our client and to society at large. We seek to create conditions where people of high ability and high ideals, who share in our aims and objectives, are attracted to work with us. We encourage creativity, skill sharing, team work, professional and personal development. We operate in a manner that allows people freedom and flexibility to use their skills to the full. We continually seek to improve our performance and therefore the service given to our clients. It is our policy to give clear instructions, which are necessary to facilitate the planning, and execution of projects to the required quality and to meet the requirements of BS EN ISO 9001. QA arrangements for this project would involve a Project Quality Plan (PQP) established at the beginning of the project. The PQP includes detailed project information outlining the requirements of the brief, set project objectives, budget, preliminary project programmes and schedules and the organization of resources. The PQP records any client changes with respect to this information. The PQP identifies information, as it is to be prepared at specific design stages and records relevant internal checking and approval procedures. The PQP records the structure of the project filing system of paper hard copies, digital computer files, file archiving and back-up procedures. The PQP is regularly reviewed and revised as necessary to suit the changing demands of the project. In addition to the PQP file ABA regularly reviews the procedures for setting out the processes of project work, the responsibilities for them and the type and methods in which records are kept. In order to maintain this approach to produce innovative, high quality work, it is necessary to ensure that ABA protocols are followed to make the most efficient use of time to maximise time for design and delivery. The following quality control and management procedures are implemented through from concept to post completion of each project to ensure that quality is maintained and the delivery of each project is assessed after completion in order to improve services in the future. ABA’s design approach is intensely site and client specific, drawing from the broader cultural context of each project to produce highly inventive work that seeks to communicate with a wide audience. The team defines this as ‘cross-fertilisation’, integrating urban design, landscape, and interiors with disciplines outside conventional realms of architecture. This approach has generated an award-winning body of work noted for its inspired manipulation of space, inventive use of materials, clear structural expression and the ability to create profound emotional and sensory experiences for its users. Our client base is not unanimously in favour of formal Quality Assurance (QA) arrangements which has to date not encouraged us to seek accreditation. ABA does however have several systems in place to monitor project quality. Alison Brooks Architects are a medium sized practice of 17 architectural staff and one office administrator, dedicated to excellence in all aspects of the practice’s work. For this project Alison Brooks as project design leader will be supported by technical and administrative services of a dedicated project architect who will provide a single point client contact. Other support will be added to the team as and when necessary. Alison Brooks Architect’s work is conducted according to the terms and conditions of RIBA Standard Forms of Appointment and in alignment with the RIBA Plan of Work modified to meet the specific requirements of a given client’s brief. At completion of each Work Stage a client presentation will be prepared which may be accompanied by a cost study (by others) appropriate to the stage. Client approval will be sought prior to proceeding to any subsequent stage. ABA encourages a team approach from the initial stages of any project including public consultation, as well as requests for environmentally sustainable design solutions. Realistic planning of design stages, allowing adequate periods for cost analysis, consultant input and client approval is essential to achieving project program targets. All potential obstacles to project progress must be identified at the earliest stages, such statutory consents or in the case of existing buildings, special consideration to be made for building structure, mechanical services and accessibility. This, combined with a clear team commitment to communication and adherence to deadlines, will minimise programme slippage. In previous projects ABA has consistently produced design and production information within extremely tight time frames and well within client needs. Excellent design and project execution results from an excellent client-architect relationship and consistent, thorough and open communication amongst the project team for the duration of a project. Clear lines of communication are established at the outset of the project as well as an overall project programme and project team meeting schedule. Meeting are generally minuted by ABA unless other parties are assuming this role and distributed to the client and relevant parties. All ABA telephone conversations are noted and when necessary, distributed. All correspondence with consultants and statutory and other bodies are copied to the client. ABA maintains open communication within the project team, briefing individuals for tasks and clarifying the methods to be used as appropriate to the work at hand. As outlined in the PQP a full paper filing system is maintained throughout the project in addition to all digitally saved files to ensure a clear audit trail relating to all decisions and correspondence. All digitally saved files and project work are regularly backed up and where necessary off-site storage arrangements are made. Standard systems of drawing revisions and drawing issue records are also maintained in full. ABA regularly conducts formal internal reviews of project work carried out by members of staff. These reviews are used to monitor project performance against the requirements of the PQP, and that overall ABA project standards are maintained. It is at this time that technical aspects of the design including health and safety are checked and verified. ABA internal reviews are minuted and filed with project data to ensure continuity. Alison Brooks was interviewed by the Evening Standard on her life in Queens Park, her Victorian semi-detached house, her decor and her favourite furniture. Alison’s full feature can be found on pages 16-17 here. 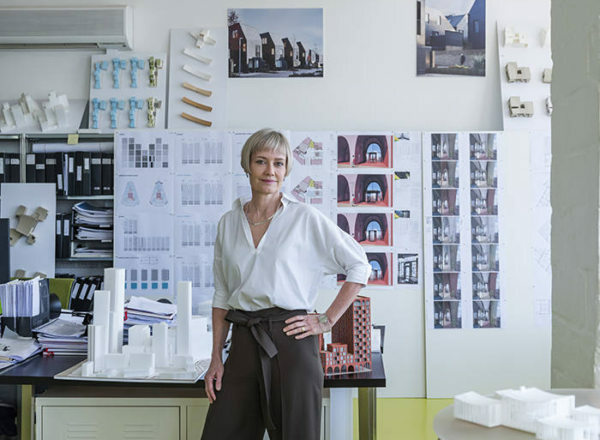 Alison Brooks was interviewed by the Financial Times, ahead of the unveiling of the 16th International Architecture Exhibition – La Biennale di Venezia on 23 May. 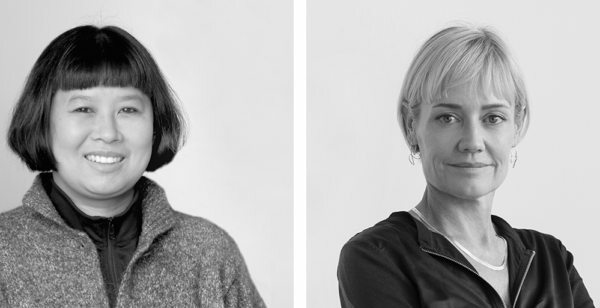 Alison Brooks Architects have been invited by Curators Yvonne Farrell and Shelley McNamara to participate at the 16th International Architecture Exhibition – La Biennale di Venezia, running from 26 May to 25 November 2018. The theme for Biennale Architettura 2018 is FREESPACE, a word which describes a generosity of spirit and a sense of humanity at the core of architecture’s agenda. 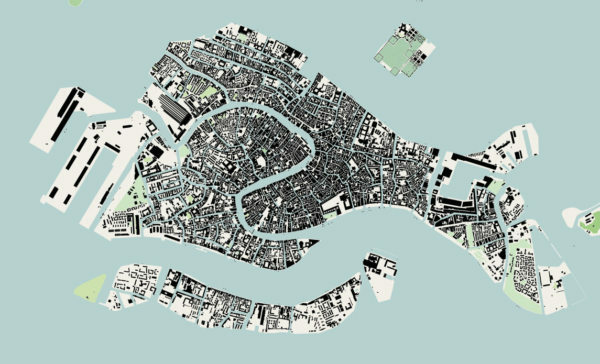 Alison Brooks Architects have been invited to participate at the 16th International Architecture Exhibition – La Biennale di Venezia curated by Yvonne Farrell and Shelley McNamara. The 16th Exhibition runs from 26 May to 25 November 2018. Details of our involvement will be unveiled on the 23rd May. Alison Brooks Architects is recruiting a Part-I architectural assistant to join its London team. Please submit a CV and concise portfolio in a PDF format not to exceed 5MB to careers@alisonbrooksarchitects.com. We will not accept hard copies. Alison Brooks Architects is looking for a studio coordinator/receptionist to join its team in Kentish Town, London. The studio coordinator/receptionist will be the first point of contact for visitors, clients and staff so you will need to ensure the smooth running of the space and be committed to maintaining an excellent first impression for all visitors to the practice. The successful candidate must have an excellent eye for detail, can do attitude and show a high level of initiative as well as being confident with excellent communication skills. maintain office stock, stationary, kitchen cupboards etc. To apply please email a CV to careers@alisonbrooksarchitects.com. Alison Brooks was interviewed by Owen Wainhouse for episode 11 of Architecture Masters, the new podcast from the London Festival of Architecture. In this episode Alison talks about her early experience, her career, current projects and housing in Britain. Alison Brooks was interviewed by US Modernist Radio’s George Smart on her career development, her achievements and also on the development of housing in Britain. 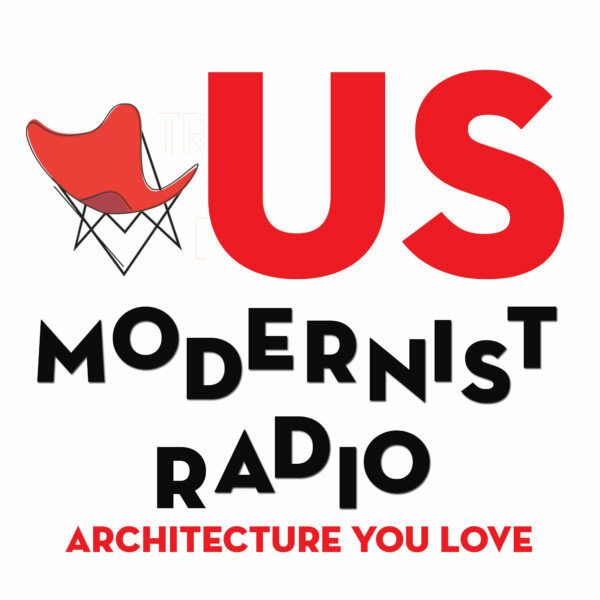 US Modernist Radio talk and laugh with people who enjoy, own, create, dream about, preserve, love, and hate Modernist architecture, the most exciting and controversial buildings in the world. The podcast is free to download from iTunes. 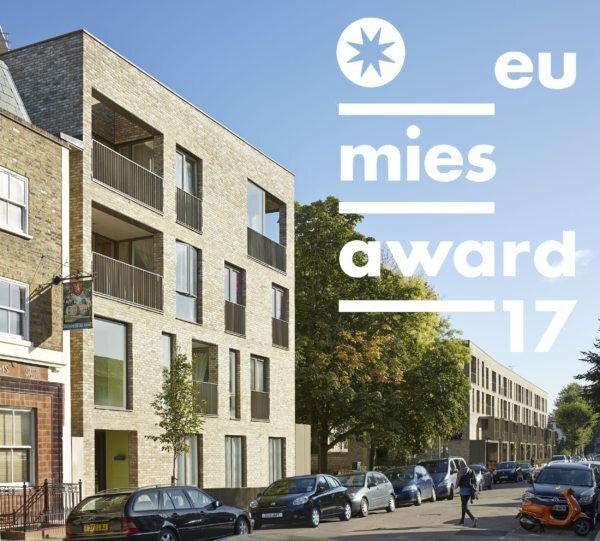 ABA’s Ely Court has been selected as one of just five finalists from a shortlist of 40 for the prestigious 2017 European Union Prize for Contemporary Architecture – Mies van der Rohe Award. Ely Court is a 43-dwelling mixed-tenure scheme for London’s South Kilburn Estate Regeneration Masterplan for Brent Council. The European Commission and the Fundació Mies van der Rohe announced the five finalists at a press conference on 15th February at the Mies van der Rohe Pavilion. Stephen Bates, architect and Chairman of the Jury said: “Our instincts could be summed up by the words of Peter Smithson: ‘things need to be ordinary and heroic at the same time’. We were looking for an ordinariness whose understated lyricism is full of potential”. The Prize is awarded biennially to works completed within the previous two years. The principal objectives are to achieve a thorough understanding of the transformation of Europe’s built environment; to recognize and commend excellence and innovation in the field of architecture and to draw attention to the important contribution of European professionals in the development of new ideas, the clients who support them and the citizens that enjoy them. The Jury will visit the five works in April and the Prize Winner and the Emerging Architect Winner will be announced in Brussels on 16th May. 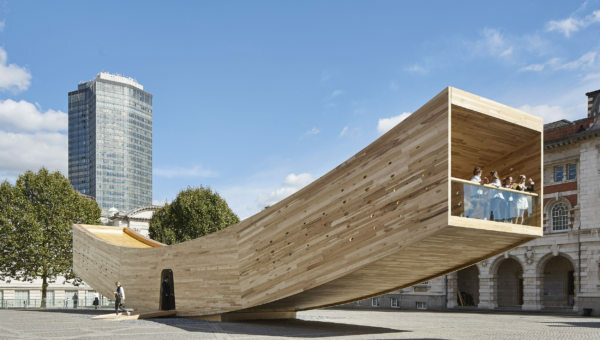 The process will culminate with the Awards Ceremony on 26th May at the Mies van der Rohe Pavilion, marking several days of Open Doors throughout Europe during which sites of the shortlisted works will be open for visits by the general public. ABA is participating in the Time-Space-Existence exhibition at the Palazzo Mora, along with 100 other established and emerging practices from a range of countries and cultures. In the exhibition ‘City(e)State’, Alison Brooks Architects documents the evolution of state-sponsored housing architecture as a reflection of the social, economic and political values of the day. The exhibition uncovers qualities found in Britain’s monumental urban housing estates, and how these have become synonymous with economic and social segregation. These are examined in relation to four specific urban paradigms found in a north London neighbourhood: 1890s suburb; 1960s modernist estate; contemporary masterplan; and intensified, ‘ideal’ future. The practice considers housing design to be the most fundamental form of city-building, constituting urban form, civic space and community identity as well as the intimate space of dwelling. ABA’s own work in housing explores new typologies, identities and hybrid uses as vehicles for urban transformation. 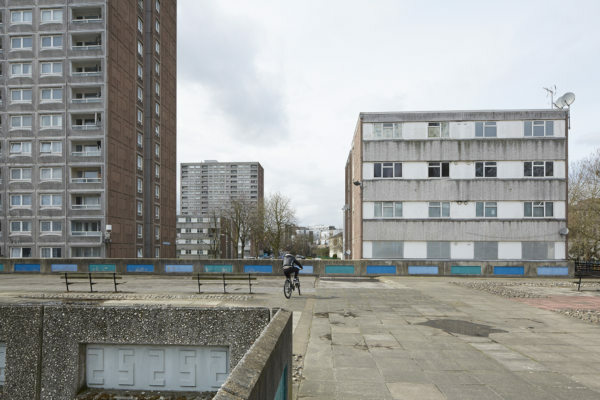 The Venice installation will include ABA’s ongoing work with the London Borough of Brent on the regeneration of South Kilburn Estate, one of north London’s largest modernist housing estates. Here, the Council is leading a 15 year masterplan to reintegrate the community, its architecture and public spaces into the fabric of the city. The Council’s plans new projects embed diversity, with a 50/50 mix of social and private housing. Ten London architects have been working in the regeneration including three competition winning schemes by Alison Brooks Architects. “Our three South Kilburn projects – one complete, one under construction and one planned – recharge streets as a forum for public life framed by higher density, equitable housing. Our work supports the local authority’s renewed commitment to delivering long-term social and urban value.” says Brooks. “Time Space Existence” at the 15th International Architecture Exhibition, 28 May – 27 November 2016. Palazzo Mora, Str. Nuova, 3659, 30121 Venezia, Italy.